A few weeks ago, Peter and I took a quick trip to see my mom in Arkansas. Since our route goes through Memphis, we decided to stop there for lunch and found some great places with the help of Happy Cow. This first post is about our stop on the way up, Imagine Vegan Cafe. 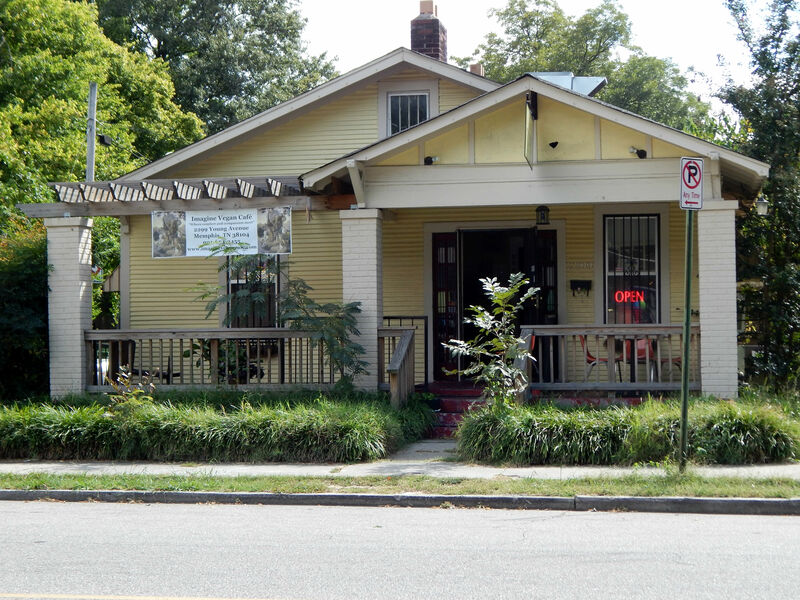 It’s located in an upcoming neighborhood and the restaurant is nestled in a small renovated home. I was pleasantly surprised by there being an entirely vegan restaurant in a city well known for barbecue and fried chicken (and Elvis, but that part is irrelevant). The place is cozy and feels more like a home than a restaurant with its mismatched plates and motivational poster decorations. We started off with the appetizer sampler because everything sounded too good to choose just one item. 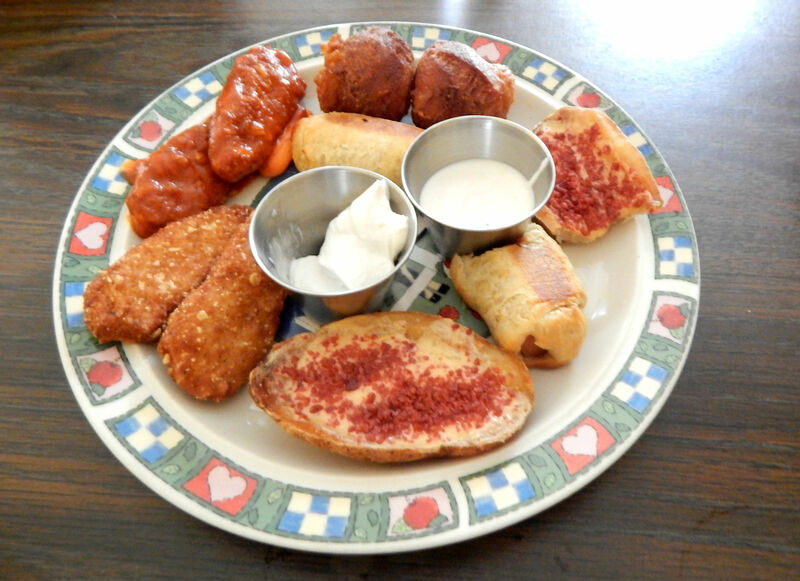 It included potato skins, chicken nuggets, pigs in a blanket, buffalo wings, and hush puppies served with a side of ranch and sour cream. 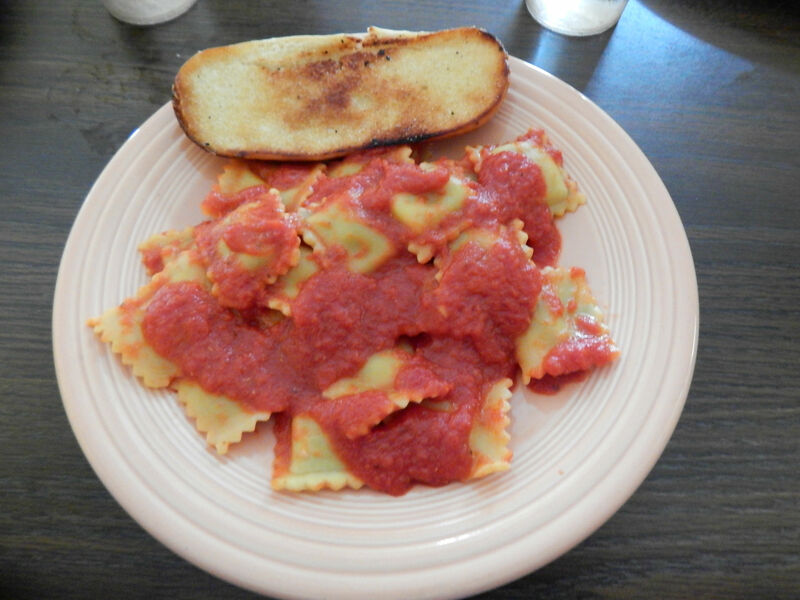 Our main dish choices were stuffed ravioli with garlic bread and chicken fried steak with garlic kale and mac and cheese. Peter’s ravioli was decent, but I think the sauce could do with a bit more herbs and maybe some vegetable chunks. It was just a bit bland to me. The chicken fried steak was amazing. 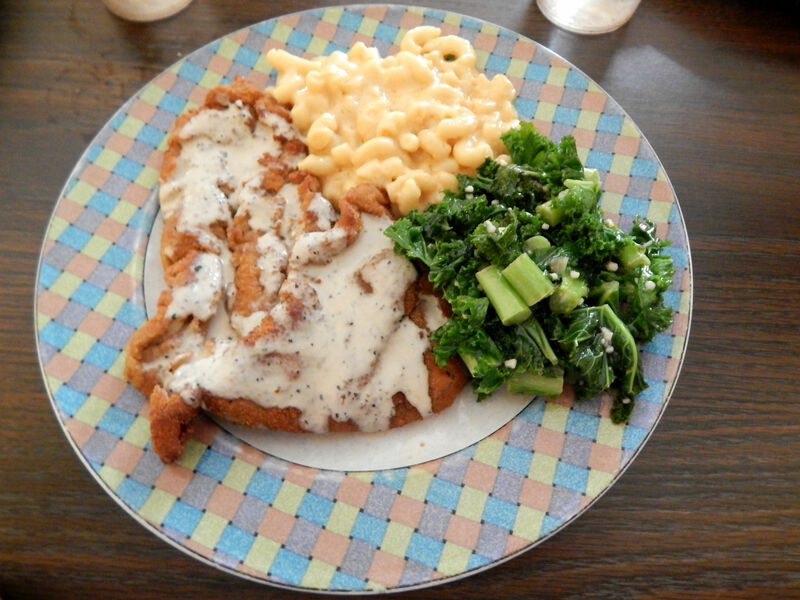 It was a fried seitan base with a creamy white gravy on top. The accompanying garlic kale was flavorful and fresh tasting. The mac and cheese had a deliciously thick and creamy sauce and it is something I will definitely get again next time. We got dessert to-go because we were outrageously full from the main course. 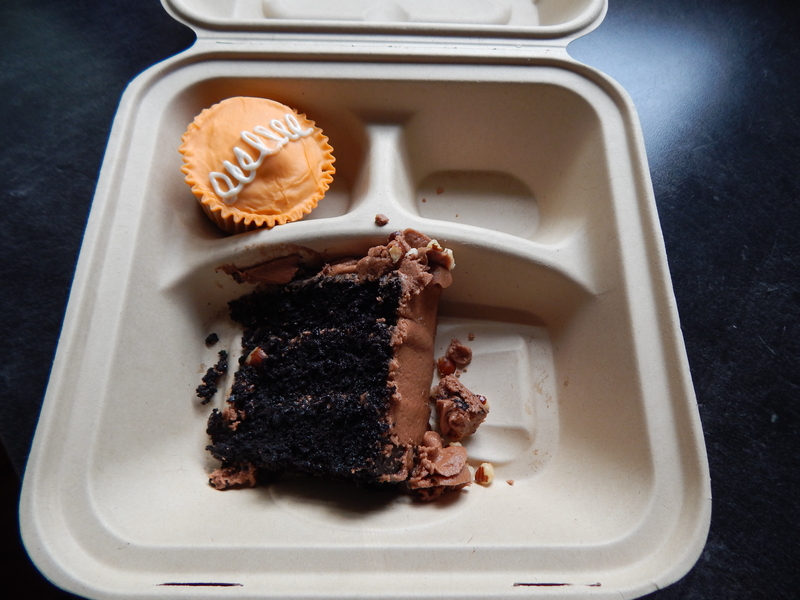 I chose an orange fauxstess cupcake and Peter got the chocolate hazelnut cake. Both were later devoured (after arriving in Arkansas) and didn’t fail to amaze us.